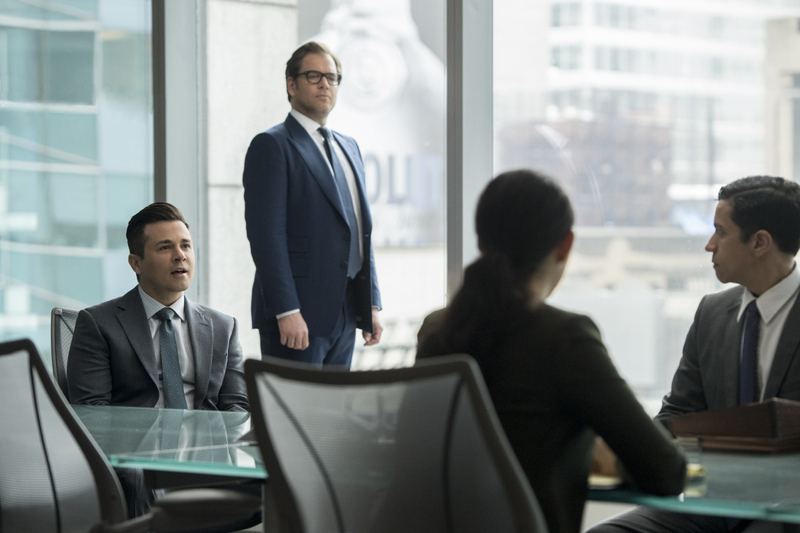 Episode 1×21 “Welcome Back, Dr. Bull” — Bull makes a deal with top criminal attorney J.P. Nunnelly (guest star Eliza Dushku) to defend Benny when he goes to trial for misconduct in a case related to his former career with the District Attorney’s office. Air Date: Tuesday, May 9 (9:00-10:00 PM, ET/PT) on CBS. BULL "Welcome Back, Dr. Bull"